Music In Africa is an information and exchange web portal dedicated to the African music sector. Initiated by the Goethe-Institut together with Siemens Stiftung and partners from across the African continent, Music in Africa’s vision is to be the leading source of information in and for the African music sector. Music In Africa (www.musicinafrica.net) is easily the fastest growing information and exchange web portal dedicated to the African music sector, reaching thousands of people every day. A non-profit initiative, Music In Africa has a mission to support the African music sector through information exchange and collaboration. With access to seasoned music journalists and researchers from across the world, Music In Africa offers a unique range of quality and useful information about the sector. The main content sections include a Directory where you can find and connect with thousands of professionals who operate in the sector, including but not limited to musicians, funders, record labels, managers and publishers; a Magazine section (featuring dynamic content such as news, overviews of African music scenes, feature articles, reviews, and gig guides; a Resource section (with practical tools for music professionals) and an Education section offering quality tutorials and other educational content. 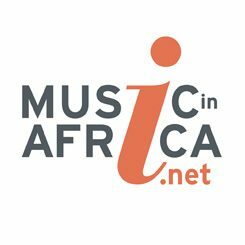 Music In Africa publishes content in French and English and has five regional offices in Kenya, Nigeria, South Africa, DRC and Senegal. Initiated by Goethe-Institut together with Siemens Stiftung and partners from across the African continent, Music In Africa’s vision is to be the leading source of information in and for the African music sector. A community-driven portal, Music In Africa offers innovative tools to allow all informed users to contribute and moderate content in a professional way. Musicians and music operators are able to enlist and create their own profiles. More importantly, Music In Africa is not for music professionals only but for all interested in the African music sector. Anyone who wants to become a contributor is able to register and produce content for the site seamlessly. The Music In Africa initiative has led to the establishment of the Music In Africa Foundation (MIAF), a pan-African organisation with operations across the continent. MIAF was established in 2013 and registered in 2014 as a non-profit organisation, in terms of the South African Nonprofit Organisations Act, No. 71 of 1997. It is a pan-African organisation whose membership base is mainly music professionals, organisations and businesses who are actively involved in the African music sector. In addition to the Music In Africa portal, the Foundation runs various offline developmental projects such as instrument building and repair, the ACCES music conference, mentorship programmes, artist mobility funding, lobbying, conferences and other related initiatives. The Music In Africa Conference For Collaborations, Exchange And Showcases, or simply ACCES, is the ideal platform for music industry players from across the continent to exchange ideas, discover new talent and accelerate the shaping of the vibrant music sector on the continent. ACCES was launched in 2017 and is held in a different African city every year. The event attracts delegates from over 40 countries each year and is spread over three days, offering a dynamic programme of training workshops, panel discussions, presentations, live performances, networking sessions, exhibitions and visits to key music industry hubs in the host city. Wherever it is held, ACCES presents unique opportunities for the local industry to showcase its musical works to a diverse audience while fostering business exchange and the creation of a strong network of music professionals on the continent. In 2015 the Music In Africa Foundation introduced a range of artist training and mentorship workshops which are mostly executed under the banner Steps to a Professional Music Career, in partnership with the Goethe-Institut. The four-day workshop is aimed at young professionals including, but not limited to, musicians, music managers, producers and distributors, who wish to learn key aspects of the music business to improve their careers. Countries that have hosted these workshops include Namibia, Burkina Faso, Senegal and DRC. As a way of addressing artist mobility challenges on the continent, Music In Africa introduced a mobility funding programme through its MIAConnects project in 2017. The programme supports artists and festivals financially to facilitate tours nationally and regionally. In the initial phase (2017-18) this initiative strategically focuses on artists in seven countries affected by conflict (Chad, Mali, Niger, Nigeria (North), Somalia, South Sudan and Sudan). The MIAConnects project is supported by the German Federal Foreign Office and Siemens Stiftung.